Here's The Story Behind That Trump Tweet On South Africa — And Why It Sparked Outrage Outrage quickly followed the president's tweet about "the large scale killing of farmers" in South Africa. But why? The thorny history involves apartheid, white supremacists and plenty of acrimony. South African leaders pushed back against President Trump's tweet about "land and farm seizures and expropriations and the large scale killing of farmers." For much of Wednesday, the topics the president mentioned on Twitter were familiar ones. There were the tweets about former associates Michael Cohen, who pleaded guilty to eight counts in federal court, and Paul Manafort, who was convicted of eight. There were the harsh words for Democrats and the claim he is the subject of a "witch hunt." But then President Trump commented on something unexpected. He tweeted that he had asked Secretary of State Mike Pompeo "to closely study the South Africa land and farm seizures and expropriations and the large scale killing of farmers. 'South African Government is now seizing land from white farmers.' "
The comment appeared to be inspired by Fox News host Tucker Carlson, whom Trump tagged in the tweet. On his show Wednesday evening, Carlson had criticized the State Department for not weighing in on South African President Cyril Ramaphosa's proposed land reforms. Trump's tweet was an unusual way for the president to use the word "Africa" on Twitter for the first time since taking office, as The Washington Post points out. But South African leaders failed to see any flattery in the name check. Hours later, the country's official government Twitter account hit back hard on the president's medium of choice. "South Africa totally rejects this narrow perception which only seeks to divide our nation and reminds us of our colonial past," the account tweeted. Even as this diplomatic dust-up flared — with a South African presidential spokesperson later calling the tweet "unfortunate and misinformed" — onlookers unacquainted with South African domestic policy may find themselves wrestling with a reasonable question: "Um, what?" Well, we've got some answers about what's going on here. 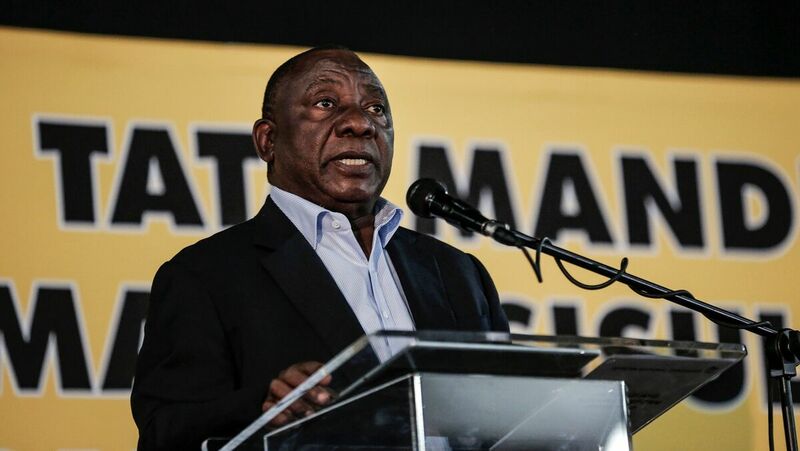 South African President Cyril Ramaphosa speaks to the ruling African National Congress party earlier this year in Johannesburg, focusing mostly on land reform policies. The roots of the controversy reach back well into South Africa's colonial past, when a small white minority held power. One crucial way the white government preserved that power was the 1913 Natives Land Act, a law that banned Africans — the vast majority of the population — from acquiring agricultural land beyond a few reserves that made up roughly a tenth of the land. The effects of this and other laws can be felt still today, long after South Africa became a majority-black government in 1994. Black South Africans, who make up about 80 percent of the population, own just 4 percent of the country's farms and agricultural holdings, according to government data published earlier this year. Since the collapse of apartheid, the brutal system of segregation that reigned in South Africa for half a century, redistribution of land has been a key — if elusive — pillar of policy for the ruling party, the African National Congress. The laws established under colonial rule and apartheid were "about destroying the humanity and the personhood of black South Africans," political analyst Sithembile Mbete told journalist Peter Granitz. "So when people say they want land, part of it is also about wanting ancestral belonging and dignity." But the ANC has struggled to fulfill its promise through voluntary buyback programs. Now, with an election on the horizon and a rising challenger on its left flank, the ANC is pushing a new plan to accelerate the redistribution of land. The party is pushing for the ability to expropriate some land seized by white South Africans during apartheid — and to do so without compensation when necessary. The plan has drawn its share of critics, who have condemned it as a policy rooted in hostility toward white farmers and disrespect for property rights. And economists warn that South Africa risks following in the dangerous footsteps of Zimbabwe, where its own chaotic land redistribution program decimated the country's economy. Still, President Cyril Ramaphosa has plowed ahead, urging that the country's constitution be amended to make clear the government has the right to expropriate land. Contrary to Carlson's claims and Trump's tweet, however, the South African government is not currently "seizing land from white farmers." "We still have a festering wound in terms of how the land was taken from our people and that wound needs to be healed and the only way to heal that wound is to give land to the people," he said earlier this month, according to local media. "Doing so will ensure a fair and prosperous future for all of our people." A tractor rides through a farm last year in Hoedspruit, South Africa. It is just one of many plots of land across the country that have been the subject of disputes. The connection rests in Trump's claim that the "large scale killing of farmers" is unfolding in South Africa. The statement is at best misleading, and at worst, it has been condemned as a common white supremacist talking point. Let's take the misleading part first. Farms across the country have indeed seen a significant number of killings recently — but according to one of South Africa's largest farmers' organizations, Agri SA, the number of killings per year has declined to less than a third the number recorded two decades ago. And after diving into decades of data, the BBC concluded its extensive fact check last year by warning against drawing conclusions at all. "In short — we have no clear idea about the murder rate on South African farms," the broadcaster summed up. "And because of that, the claim being made by protesters about farmers being more likely to be murdered is not supported by reliable data." Nevertheless, Anton Harber, who teaches journalism in Johannesburg, tells NPR's Michele Kelemen that a group named AfriForum has strongly promoted the claim that white farmers are particularly threatened by this violence. They've gained supporters among politicians in places as far-flung as Australia, they've "sent a delegation" to speak with Tucker Carlson, and on Thursday, they "welcomed" Trump's tweet. "They are quite vocal, and they present themselves as a group that protects minority rights," Harber said, "but they are largely seen as a group that protects white Afrikaans' rights." The notion of widespread violence against whites in South Africa has gained particular currency among white supremacists around the world, according to the Anti-Defamation League. 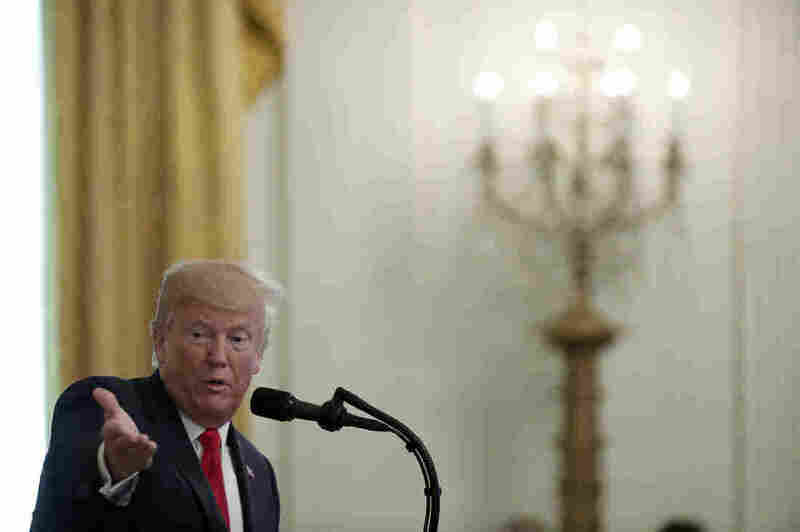 "It is extremely disturbing that the President of the United States echoed a longstanding and false white supremacist claim that South Africa's white farmers are targets of large-scale, racially motivated killings by South Africa's black majority," the anti-hate advocacy organization said, noting that prominent white supremacists such as Richard Spencer have espoused the claim. "We would hope that the President would try to understand the facts and realities of the situation in South Africa, rather than repeat disturbing, racially divisive talking points used most frequently by white supremacists." The Southern Poverty Law Center, a group that tracks hate crimes, also identified the claim as "a lodestar for white supremacist groups at home and abroad." And the organization named another notable figure to cite the concept of "white genocide": Dylann Roof, the self-avowed white supremacist who murdered nine people in a historically black church in 2015. "Trump's tweet last night about South African farmers — a complicated situation that racist propagandists reduce to a 'canary in the coal mine' scenario for white people — is one of the most startling examples of this president indulging in racist thinking." South African leaders wasted little time rebutting the tweet — and seeking to clarify just what the president meant. "It is regrettable that the tweet is based on false information," the country's foreign ministry said in a statement Thursday, noting that Foreign Minister Lindiwe Sisulu plans to reach out to Pompeo "through diplomatic channels." "Minister Sisulu said South Africa has good political, economic and trade relations with the United States of America and that diplomatic channels remain open to provide clarity on issues of mutual interest." Despite the quick response, the tweet has already made an impact within South Africa's borders. The country's currency, the rand, opened the day with a sputter after Trump's remark, which apparently spooked several investors already wary about land reform. 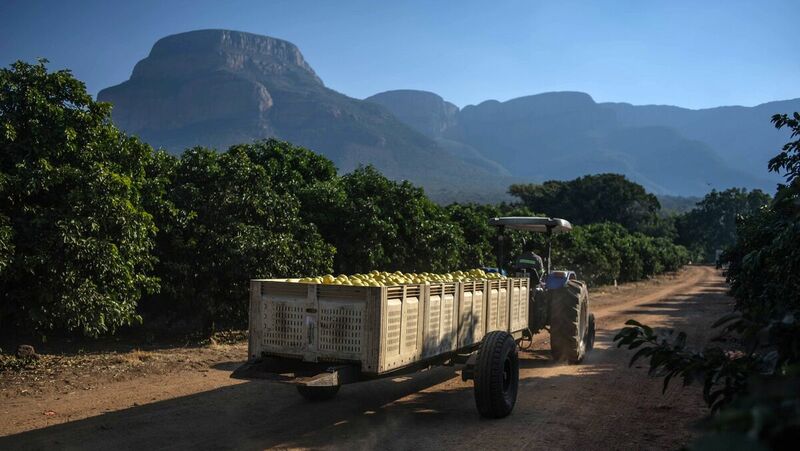 The tweet "puts a spanner in the works of the concerted effort that President Ramaphosa has been making to clarify the land reform issue to the international community and investors," Ruth Hall, professor at the University of the Western Cape, told CNN. "The government has clearly stated that there will be no land grabs." An earlier version of this story misspelled Sithembile Mbete's last name as Mbeteso.